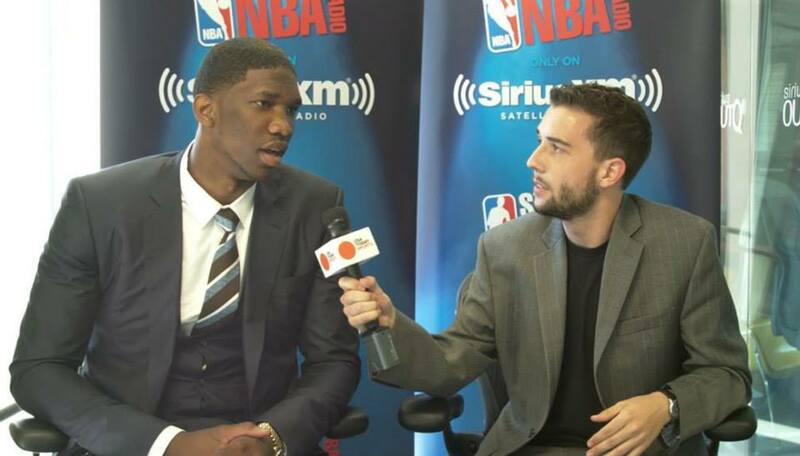 Gleeson interviewing future NBA superstar Joel Embiid before the 2014 NBA draft. When Scott Gleeson was a sophomore in high school, he saw a young Derrick Rose, his same age at the time, go up for a windmill dunk during a high school game in Pontiac, Ill. That’s when it sunk in for Gleeson that he wasn’t going to be able to compete with players like Rose, who would turn out to be the star point guard for the Chicago Bulls. But when that moment finally came, Gleeson already had an alternate career in his back pocket. Still in high school, he created, self-published and hand-delivered “Baller Magazine,” a publication that featured his writing on all topics dealing with the sport of basketball. 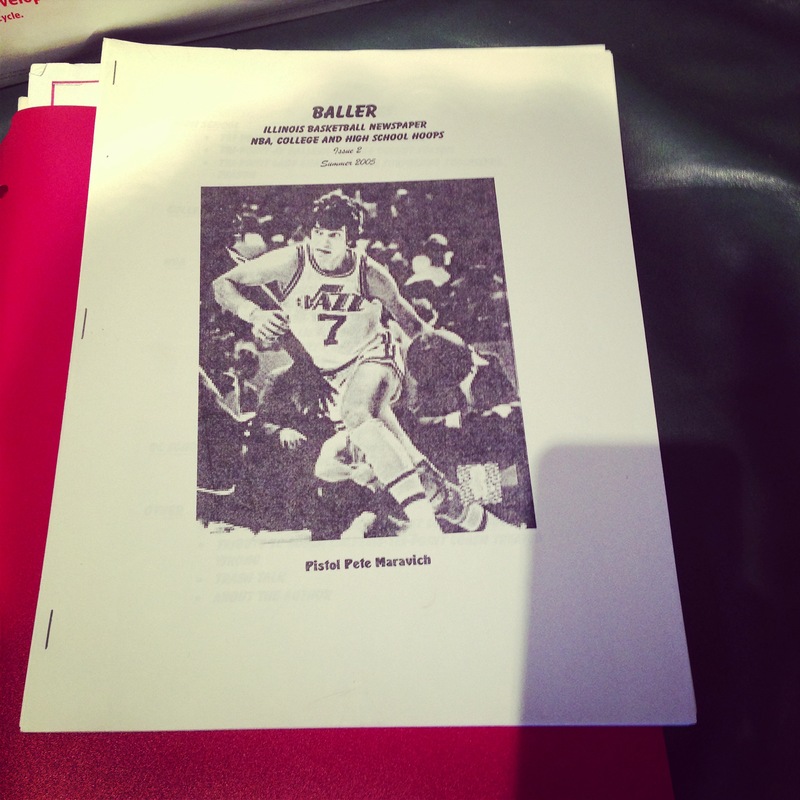 The first issue of “Baller” focused on Gleeson’s favorite NBA player, the late “Pistol Pete” Maravich, along with various articles about high school and college basketball. The magazine was Gleeson’s jumping-off point into the career of sports journalism, a profession he said he knew he’d pursue from a very young age, and would work hard to excel in. “I was determined to be damn good at it,” Gleeson said. Now, Gleeson is the colleges digital editor at USA TODAY Sports and primarily covers college basketball. He’s based on the West Coast and writes the national web columns Bracket Briefing, Starting Five and Basketball Brunch, while projecting the 68 teams to make the NCAA tournament. Throughout his career, he has been fortunate to cover such events as the NBA Draft and the NCAA Final Four — things he could only dream about covering when he was a kid. Gleeson also penned a profile of WNBA player Britney Griner of the Phoenix Mercury who came out as a lesbian during their interview. Athletes aren’t always the most accessible, so Gleeson feels the key is to connect in a positive way so the person will more easily open up. Gleeson’s most defining career moment came in December 2012 when Kansas City Chiefs linebacker Jovan Belcher committed suicide after killing his girlfriend. Gleeson was the lead programmer on the website when the editor-in-chief of USA TODAY, David Callaway, wanted to cite the Associated Press. Mary Byrne, the managing editor of USA TODAY Sports, however, wanted to report the news in their own story. Gleeson kept his composure and followed Byrne’s wisdom. As it turned out, their version of the story garnered high levels of traffic for the publication’s website. “That really was a defining moment for me in my career because it gave me confidence to know that in the biggest pressure situation that I can thrive,” Gleeson said. As a die-hard basketball fan, Gleeson admits there is often a need to separate work from pleasure. He said going to a sports game as a reporter is vastly different than attending one as a fan. Fans go with their friends, drink beer and have a great time, he said. Gleeson studied journalism at Illinois State University, where he was the sports editor and writer for the Daily Vidette from 2007 to 2011. In his classes, Gleeson recalls his editors telling him to write a story in his head so he could type it faster when he finally sat down to write it on deadline. While that’s one approach, he doesn’t necessarily believe in that philosophy. “I think in order to do that, you really kind of have to not have a plan,” Gleeson said. When writing a recap on an NBA game, Gleeson said one trick writers can try is to construct several openings to a story based on what the outcome could be. With interviewing, Gleeson said it’s important to pay attention and attempt to connect with a source rather than taking notes, fiddling with a recorder or thinking about follow-up questions. “For me, I always felt like it’s more important to relate to someone than to have my recorder on,” Gleeson said. For example, Gleeson said he was able to get Noel to give him that juicy, memorable quote after getting snubbed in the 2013 draft because he spent an entire day prior getting to know him. So when it came time for Gleeson to ask Noel how he felt about being picked sixth, his familiarity with Gleeson helped him communicate what he really felt. Gleeson said it’s important for sources to trust and like journalists. Gleeson also advises journalists to do things differently and to be as innovative and multidimensional as possible. “Don’t come into the business thinking you want to be a certain type of writer or type of journalist,” Gleeson said. Even Gleeson couldn’t have foreseen the places his career would take him. 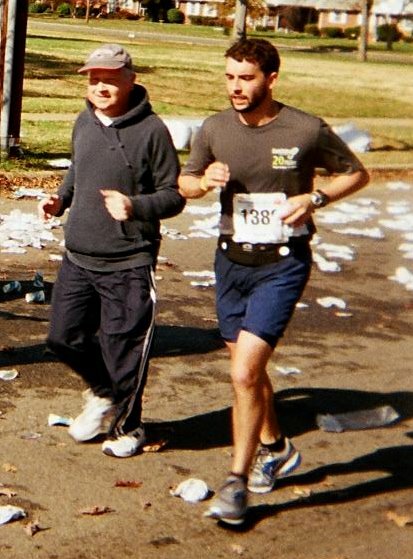 Scott and his dad Tom running the Anthem Richmond Marathon. Gleeson’s love of basketball came from his father Tom, who tragically died of cancer. Gleeson’s loss inspired him to start working on a book called “Cancer’s My Blessing,” which will tie sports with fighting adversity. The book is to have 26.2 chapters (the same number as the length in miles of a marathon, another pastime of Gleeson’s), and will include interviews with athletes who have dealt with mental illness, persecution, loss and sadness. The “.2” chapter of the book will feature an interview with his dad before he lost his battle with cancer. Although Gleeson has been covering sports since the early days of his career, that is not what defines him as a journalist.